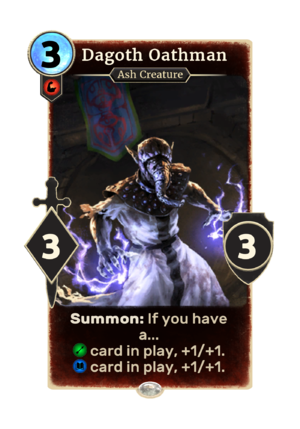 Dagoth Oathman is a common Strength creature card. It is part of the Houses of Morrowind expansion. "Kneel before the Sixth House." "Witness the fury of House Dagoth."